Most comedians are said to be courageous but who knew that a comedian could find his voice behind bars? 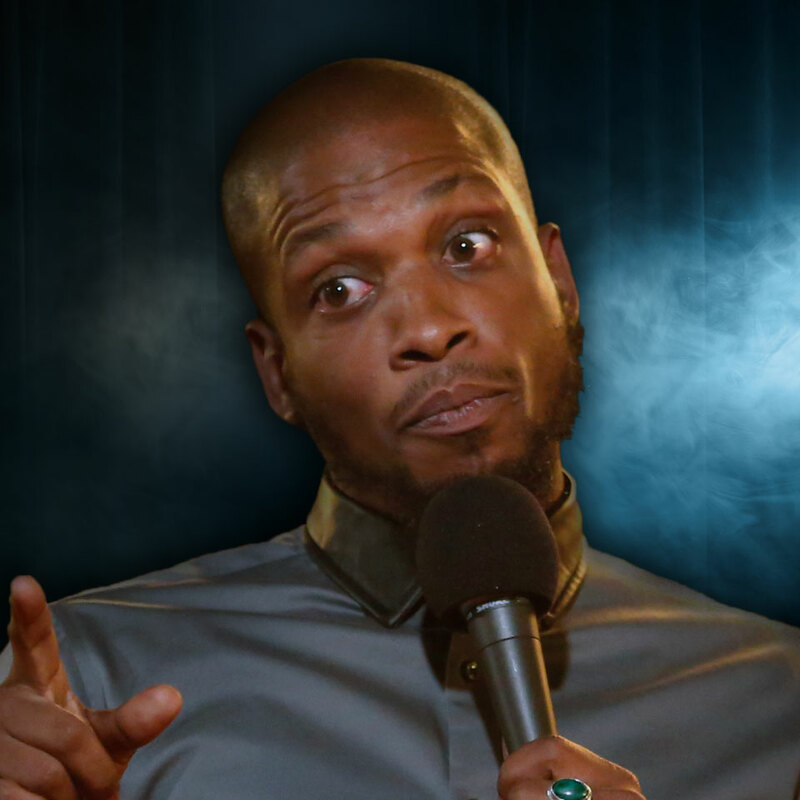 During his six years of incarceration Ali Siddiq cultivated the art of entertaining through comedy by sharing his funny stories and opinions with his fellow inmates. Ali Siddiq was born and raised in Houston, TX. As a Houston native, Ali advocates for community leadership, outreach, and fundraising. He is a consistent vendor for the Fort Bend ISD School District and volunteers with Harris County’s Juvenile Justice Alternative Education Program. This past year, He participated in a Teachers’ Lounge comedy show with Fort Bend ISD and another in Houston after Hurricane Harvey, where he donated his proceeds to fellow Houstonians affected by the storm. Ali annually participates in community events throughout the year and most importantly during the holiday season to show his love and support for his community. For the past 10 years he has donated and helped to feed the homeless with The Houston Food Bank through the Jive Turkeys Comedy Show. This past Christmas, Siddiq joined The Social Warriors Foundation to give select scholars from Woodson PK-8 Leadership Academy a holiday shopping spree they entitled, “Fifteen Minutes with a Celebrity.” Ali Siddiq has also established a nonprofit for inner city youth called “Ink in Me”, aiding youth in their development and enhancement of interpersonal communication through reading, writing, and public speaking. In addition to his philanthropy, Ali headlines multiple comedy clubs around the US and comedy festivals around the world proving his ability to engage audiences of every demographic while leaving them laughing hysterically. Recently, he attended the world famous ‘Just For Laughs’ Comedy Festival in Montreal for the first time where he completed a string of shows as a headliner; a prestigious accomplishment. He has also been a headlining act on The Tom Joyner Foundation Cruise four times and counting. During The New York Comedy Festival, Siddiq was named winner of Comedy Central’s “Up Next” competition, where he earned a spot on Comedy Central Stand-up Series: The Half Hour being named their ‘fan favorite’. Ali recorded an album with Comedy Central called “Damaged Goods”, and has also been an on air talent for The Foxxhole on Sirius XM since 2011. Ali has appeared on BET’s One Mic Stand, Bill Bellamy’s Ladies Night Out Tour on HBO, and the season finale of HBO’s Def Comedy Jam. Being no stranger to television, Ali Siddiq has made appearances on Showtime, HBO, BET, AXS, Comedy Central’s critically acclaimed storytelling show “This is Not Happening”, and also shared his perspective of social and political issues on TV One’s Washington Watch with host Roland Martin.